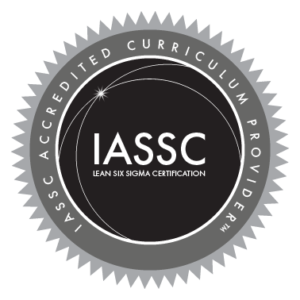 An Accredited Curriculum Provider (ACP) licenses Lean Six Sigma courseware to corporate programs, training organizations or individuals and has qualified for IASSC Curriculum Accreditation. If your organization provides any form of training – other than through content licensing – do not apply for this accreditation; instead, please review the Accredited Training Organization program as the ATO is inclusive of the ACP criteria. ♦ A public statement to all those who seek Lean Six Sigma training content that the ACP’s courseware has been found to contain a high-degree of correlation with the industry’s generally accepted Bodies of Knowledge as characterized by IASSC. ♦ Provides prospective customers with an independent source to verify your organization’s content quality. ♦ Accredited organizations are listed on our website and easily located by prospective customers looking for a reliable verification source. ♦ Link to your IASSC Accreditation Report for consumer verification and use the Accreditation Badges in your advertising and on your website. ♦ Your certificate of accreditation, displayed at your place of business and on your website, gives a favorable impression. ♦ Your Accreditation dues are 100% tax deductible as a reasonable and necessary business expense. ACP’s are distinguished from other curriculum licensing organizations in that this designation speaks specifically to the quality of their Lean Six Sigma content. Therefore IASSC makes a reasonable and fair evaluation of this criterion only. Please review, complete and submit the ACP application. An IASSC representative will be in contact with you and request the following supplemental information. For the purpose of Materials Evaluation, applicants will be requested to submit Tables of Content and any other descriptor they feel with help assess the correlation between the applicant’s course content and the IASSC BOK for each belt level. The level of correlation does not need to be 100%, however it must be sufficiently inclusive of the IASSC BOK such that a course participant exposed to this curriculum content would possess the knowledge of the topics to a large enough degree that they would be expected to be successful when sitting for the IASSC Certification Exam. Applicants must describe their training program Delivery Schema; that is, how their belt courses are taught. As of March 2016, IASSC expects to see training program durations of ~140 hours for Black Belt, ~56 hours for Green Belt, ~21 hours for Yellow Belt and uses these standards as guidelines in the assessment of a providers courses. Variations in training methods (in-class, e-learning, video series, blended, etc. ), class formats (University, Corporate), class sizes, prerequisites, supplemental training / learning activities and on the job training can cause this guideline to be challenging to assess. Nevertheless, every provider seeking accreditation should be prepared to define how their programs compare to these guidelines and reasonably justify deviations. IASSC uses training duration as one measure to assess the quality of a providers training programs. This measure is considered in part and parcel with other measures such as IASSC Certification Exam performance history, if applicable, student and customer reviews who have engaged in the providers training programs, when appropriate, along with the other criteria required to achieve this accreditation. Therefore, in certain circumstances, providers may successfully gain accreditation with training durations that are somewhat less than these guidelines. Nevertheless, this guideline provides a valuable yardstick to assess a provider’s training programs. Renewal Fee: $945 USD is due thirty days before the second anniversary of accreditation. * In rare cases additional fees may be applicable if an audit or content translation is required.